We're not in Oz anymore. Or maybe we are. 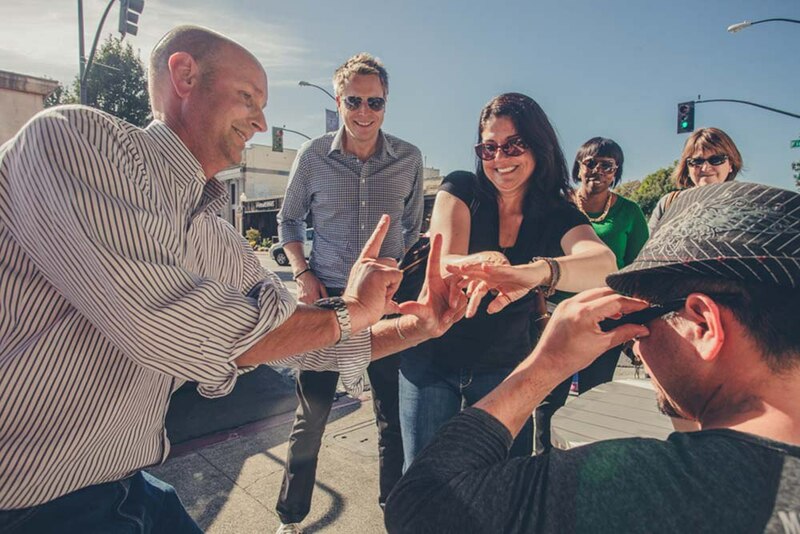 Smartphone scavenger hunts that blow the doors off a traditional teambuilding game. Play in Overland Park, Lawrence Wichita or somewhere new - we'll customize a new game just for you. There's all sorts of Go Game fun to be had in Kansas. We've got a fantastic game zone in Old Town Wichita, but we're hoping someone will bring us to other cities like Topeka. Any historic city that was on the real Oregon Trail is a must-visit for those of us who only have virtual experience with fording rivers and shooting buffalo but hope to check out the real thing. In the state that's home to the Wizard of Oz museum, The Go Game will create an Oz-like wonderland without even having to leave Kansas! No need to worry, Auntie Em.